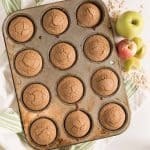 Healthy Apple Cinnamon Muffins that are made in the blender! Made with whole grain oats, applesauce, maple syrup, and other wholesome ingredients. 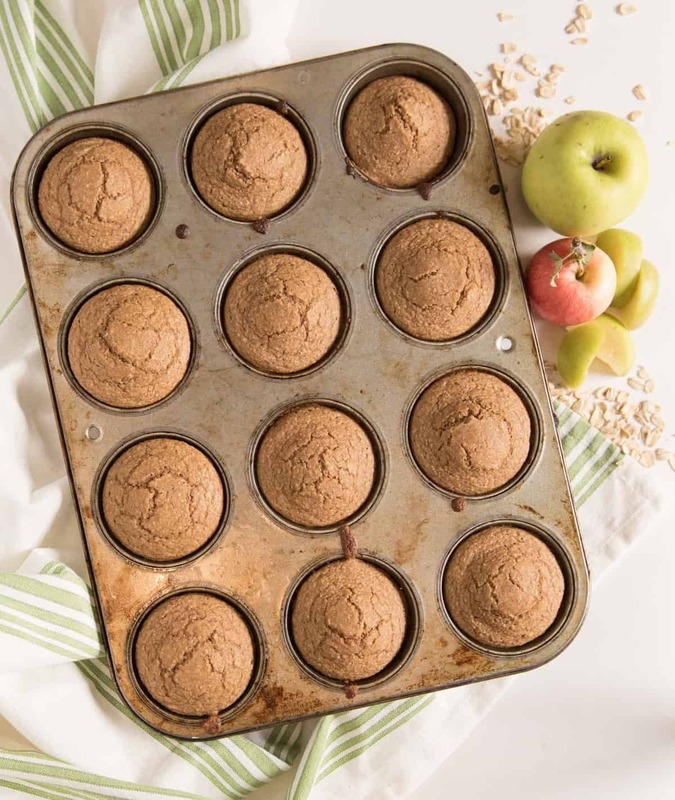 I love me some blender muffins and I’m so excited to share this super healthy apple cinnamon blender muffin recipe with you today. It is AWESOME! And it’s super-duper easy because the blender does all of the work for you. 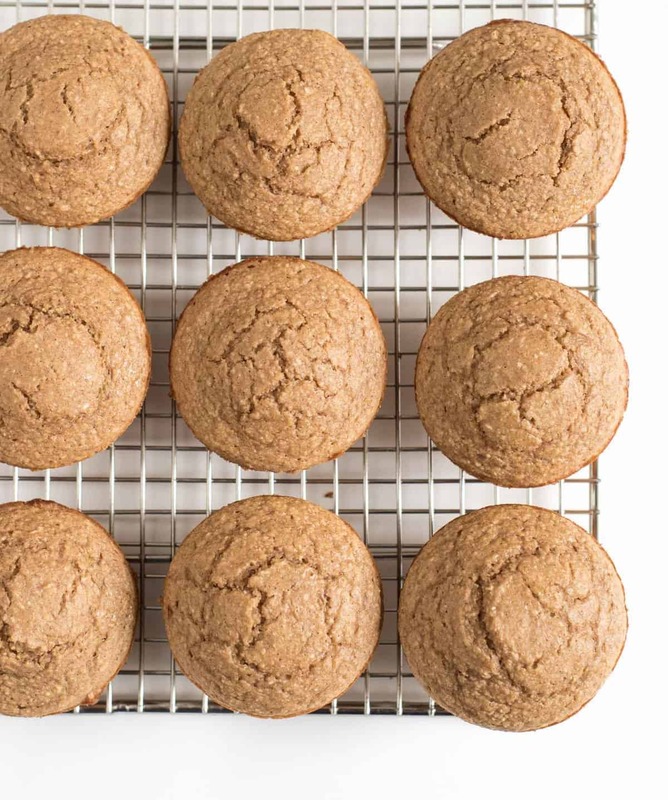 This recipe is made without traditional flour and is instead made with whole grain oats that you process in your blender until they make an oat flour. 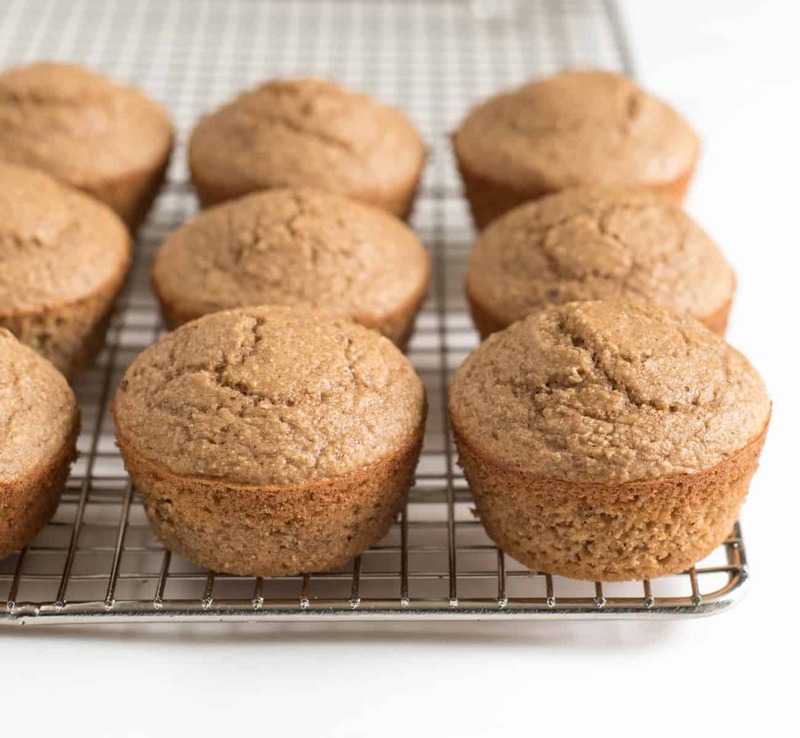 A little bit of applesauce, some maple syrup, and a few other ingredients really make these muffins simple and healthy. Just toss it all in the blender and let it go. Bake for 15 minutes and you’re done. Because this recipe is so simple, it is the perfect recipe to make with your little kitchen helpers. They can help measure and dump things into the blender and then push the buttons as needed (my kids love helping use my blender!). 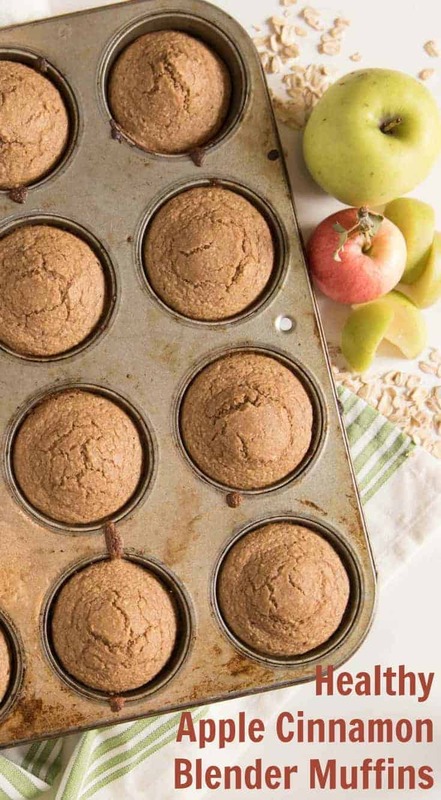 And before you know it, you’ll have super healthy apple cinnamon muffins that make a great snack, breakfast on the go, or side to your favorite soup or chili. We love these muffins and know you will too. One more reason to love your blender! I have a refurbished Blendtec and have loved it for almost 4 years now. No applesauce? No worry! If you have a good blender, you can just throw in about 8 ounces of apple (cored) and blend them up before you blend up the oats. I did that a few times and it worked great. I left the skins on, too. These aren’t super sweet muffins (and I’m ok with that). If you want a sweeter muffin, you can use vanilla Greek yogurt or add an additional 1/4 to 1/2 cup or brown sugar. You can change up the flavor a bit by subbing the cinnamon for apple pie spice. Delicious! These muffins freeze great, just FYI. 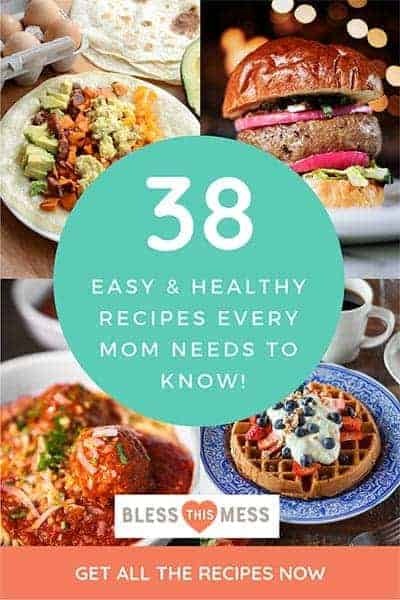 You can use them for healthy breakfasts, easy snacks, or as a side to your favorite healthy lentil chili, Healthy Alphabet Soup (healthy, meatless 30-minute meal), or Tortellini Soup with Spinach (also a healthy, meatless 30-minute meal). Add the applesauce, eggs, Greek yogurt, maple syrup, baking powder, baking soda, vanilla, salt, and cinnamon to the jar of the blender and blend until smooth, 30 seconds to 2 minutes. Pour muffin batter into the prepared pans. Bada-bing bada-boom, healthy muffins with very little dishes. I can’t wait for you to try these. Enjoy from my kitchen to yours. Yum! I do love a good muffin in the morning, and I’m sure I’d love it even more if it came together so quickly in a blender! haha. Thanks for sharing! Hi! 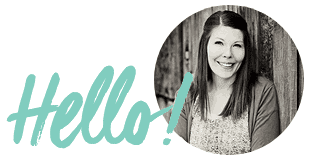 I just stumbled across your blog…I am so excited to try your recipes! Could I use a food processor in place of a blender? Yes ma’am as long as it’s a fairly big one! Thank you! Excited to try them:). P.S. I made the pumpkin energy oatmeal bites this morning and they were a huge hit with my daughters…a great quick breakfast with protein! Thank you for sharing! Umm…pumpkin pie spice?? Not in the ingredients but in instructions. I will eyeball it. Good eye, it’s supposed to say cinnamon. You can sub the cinnamon for PPS or even apple pie spice with great results though. I only had nonfat Greek yogurt but added in a heaping tablespoon of gingerbread almond butter and some fresh diced apple chunks-DELISH. And so easy to freeze! That sounds SO good! Thank you for sharing the tips and tricks with us, I so appreciate that! I made a cinnamon glaze to put on them. I make them like every week. My favourite! That sounds so good! I’d love to know what you put in your glaze! Yummm! These are a favourite at my house. I brought them to a bake sale once they were a hit. I made a cinnamon glaze to go on them as well.